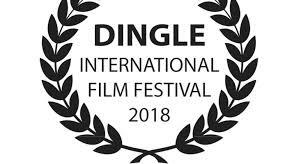 This years Dingle International Film Festival takes place this March and are currently running a Indiegogo campaign to raise funds to help in the organising of their renowned POW WOW event as well as an Outdoor Screening. The Pow-Wow event will have a number of inspiring panel discussions; with actors, directors, writers and producers and is a daylong event open to all festival attendees and is FREE to all selected filmmakers screening at the festival. Held in the stunning Ionad an Bhlascoid Mhoi this event includes, dialogue, chinwag & banter events where industry experts share knowledge, assisting upcoming filmmakers. Dingle International Film Festival are also planning a new event this year - a FREE outdoor screening event, offering a unique cinematic experience, with the dramatic backdrop of Dingle Bay. Already confirmed for what promises to be another quality packed programme this year is opening feature The Camino Voyage/Iomramh an Chamino directed by Dónal Ó Céilleachair this film features Breanndán Ó Beaglaoich, Glen Hansard, Liam Holden, Brendan-Pháid Ó Muircheartaigh and Writer and Poet; Domhnall Mac Síthigh (1951-2017). Also showing at the festival is Oscar nominated animated feature The Breadwinner directed by Nora Twomey, a movie that has just won Best Independent Animated Feature Film at the Annie Awards and continues the long tradition of high quality programming on show at the DIFF. Add in the strong selection of short films confirmed and you already have the makings of another great event in West Kerry. Combine all that with some wonderful offers available (all which enable the best experience for the attendees) and all roads must surely lead to Dingle this March.